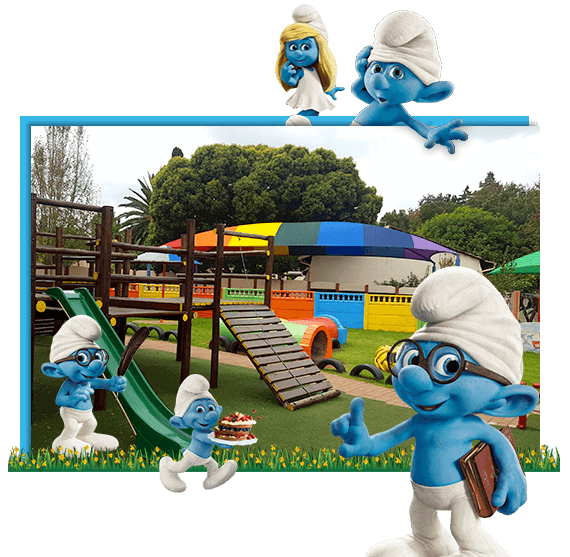 Established in 1968, Smurfy's has a long history in the area and we pride ourselves on solid tradition, tried-and-tested childcare guidelines! Our aim is to provide an environment where all children are happy - sharing, being kind to others and respecting people and property are strongly emphasised. A positive approach to behaviour management is implemented. There are few school rules but those that do exist are designed to teach children to respect others and their belongings and to ensure safety for all. With the help of the class teacher, the children will draw up a set of class rules. To assist our young generation, and to promote a sense of 'belonging', the school is organised into 7 age appropriate classrooms. This organisation enables teams of staff to work closely together and maximises the use of support staff and resources. A good portion of each day is spent outdoors, if the weather permits, to give children a chance to use their active growing bodies and develop their large motor skills. We continue to strive towards excellence, and please be assured that staff members are all working together to make this a stimulating, secure and exceptional school environment for all.